One of my favorite flowers is a Peony. Not only are they beautiful to look at, but they have an amazing scent that fills a room with a smile. 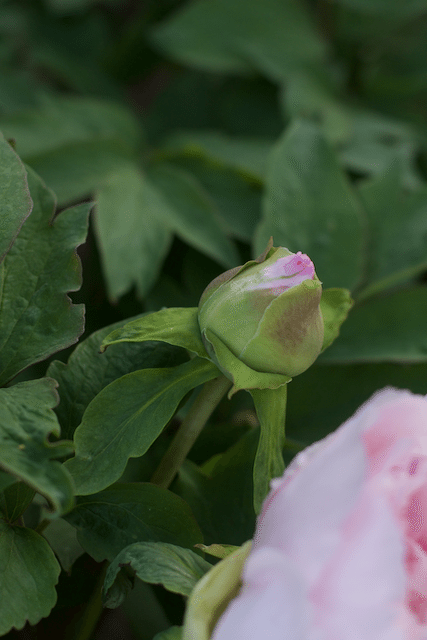 I started my obsession with Peony several years ago with one plant about 15 years ago. Not wanting to lose it in our move, I actually dug up the plant and replanted it in our new home. Within the last couple of years I have a new adoration for Tree Peony. A lucky recipient of 3 small plants several years ago, has proven to be a windfall in gorgeous flowers in the spring. 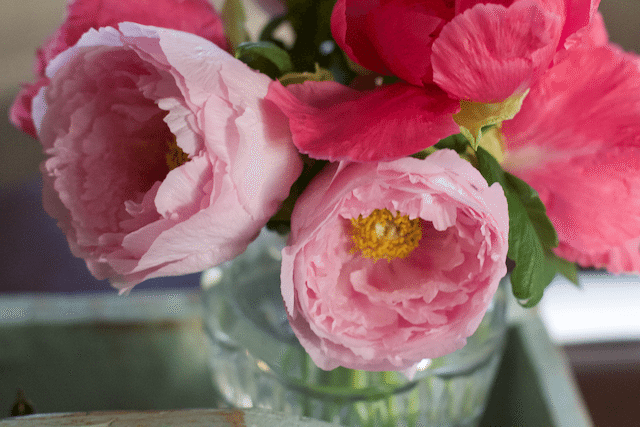 I had so many this year, I decided to share How to Properly Cut Peony Flowers to Bring Indoors. 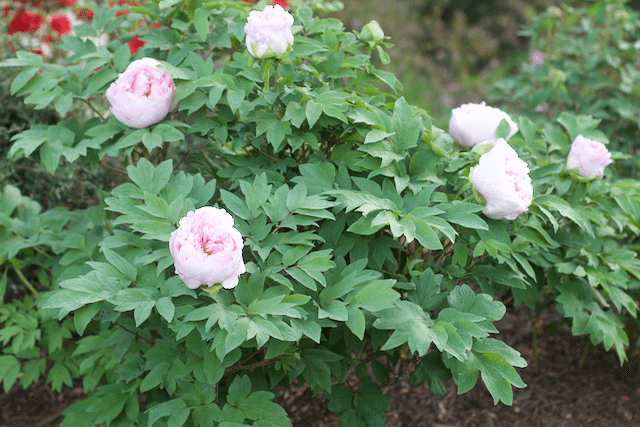 If you don’t know the difference between an tree peony and the more common peony, definitely read peony blog. Not only they bloom differently, they require different pruning and care. 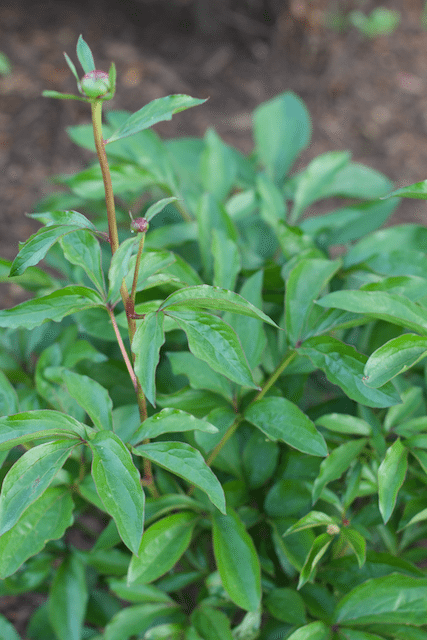 Before heading out to cut your Tree peonies know that stems should be cut short, less than two inches, to avoid cutting off what will become next year’s woody stem and flowers. They can be floated in large glass vases and bowls making an incredible statement on any table. I did not follow this but only took a few flowers from each plant so I hope it will still produce as many flowers next year. You also want to have a container of sugar water, or a little sugar mixed in tepid water. Not too cold and not too hot. Immediately place the cut flowers into the sweetened water so they can absorb the energy. If you want to cut some buds, be sure they feel like marshmallows and not hard. The later will not open for you and you sacrificed that stem for next year. See above. 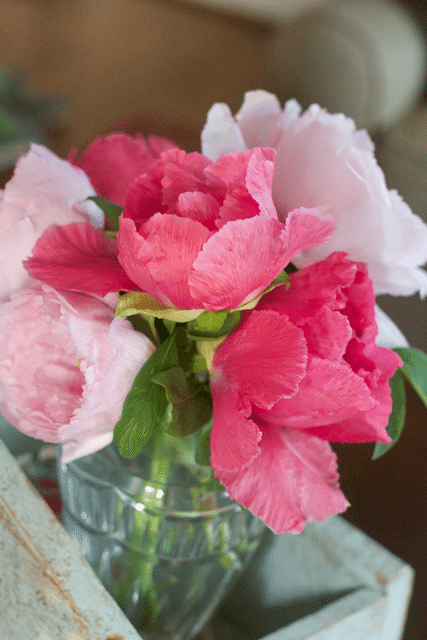 Once you bring them in, you can arrange them in a vase or floating in a shallow vase. 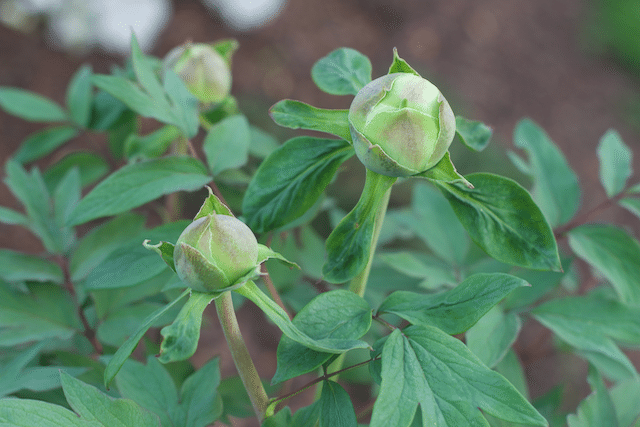 My peony flowers buds opened and closed slightly at night and reopened in the morning. I am so grateful for my friend who shared the volunteer plants from her mom’s house and wishing you the same amount of success. 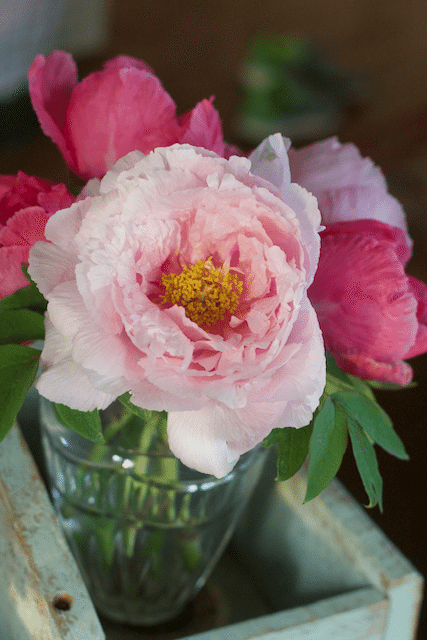 For the summer peony, or herbaceous, you don’t want to cut more than a third of their flowers. Also always check for ants, they love these summer blooms.